" Active Body Centre, active for life!" Dawn has a Bachelor of Physiotherapy and a Post Graduate Diploma in Health Science. Dawn has represented New Zealand in boxing and works with several local sports teams. She also works for New Zealand Basketball and New Zealand Football. David has a Bachelor of Health Science (Physiotherapy) and a Post Graduate Diploma in Musculoskeletal Physiotherapy, from AUT. He has worked in private practices in Whangarei and Palmerston North and in England and Scotland. David really enjoys working with sports teams and was the physio for the Manawatu provincial rugby team in 2012. David has studied western acupuncture at post graduate level. Dorothy has a Diploma of Physiotherapy from the Otago Polytechnic and has worked in private practices in Canterbury and Nelson for over thirty years. She ran her own business for many years and enjoys treating patients of all ages. Her special interests include acupuncture. Dorothy has a love of the outdoors and enjoys tramping, cycling and trail running. Ash has a Bachelor of Physiotherapy from the University of Otago. Ash has worked with multiple sports teams including the Nelson Senior Rugby and Tasman United Men’s football teams. Ash was born and raised in Nelson and has an interest in anything sporting related particularly rugby, league, touch, basketball and cricket. 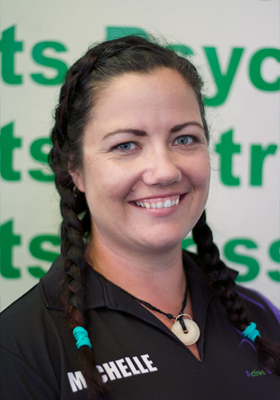 Tneal has a Bachelor of Physiotherapy from AUT and a Diploma of Sports and Fitness from Aoraki Polytechnic. She enjoys working with the Marist Rugby Club and working with athletes. She also works with the NZ Indoor Cricket team. She enjoys the outdoors and yoga. Kate has a Bachelor of Physiotherapy and a Post Graduate Diploma in Sports Medicine, from the University of Otago. Kate started her career working in the Hospital before changing to the private practice, working in Australia and England. Kate specialises in the lower limb and adolescents with emphasis on movement patterns and strengthening. Kate also umpires netball to a national level, enjoys water sports and tramping with her family. In 2011, Steph received her Doctor of Chiropractic at the Western States University in Portland and moved to Nelson shortly after. She has worked with the USA touch team and Nelson's own Olympic weightlifting team. Steph plays rugby for the Waimea Old Boy's Club and Tasman Woman's teams. She is also passionate about animals and returned to the States in 2014 to be internationally certified in animal chiropractic care. Raquel has done extensive massage training and is in her final year of a Degree in Applied Fitness at NMIT. She works with the Wanderers Senior Rugby team.